Attended TEDxHonolulu today with two of my colleagues from school. Had an amazing time! The theme was City 2.0, and it was held at Disney’s Aulani Resort in Ko Olina. It was all about creating a better community and a brighter future. Here is the post of my highlights on my edublog. This was my first visit to Aulani. At first, I wondered why the event wasn’t held in Honolulu…. But it was a really nice venue for an event such as this. Even the food was great. Another highlight for me was meeting student representatives from TEDxYouth@Punahou. Looking forward to their event next April. 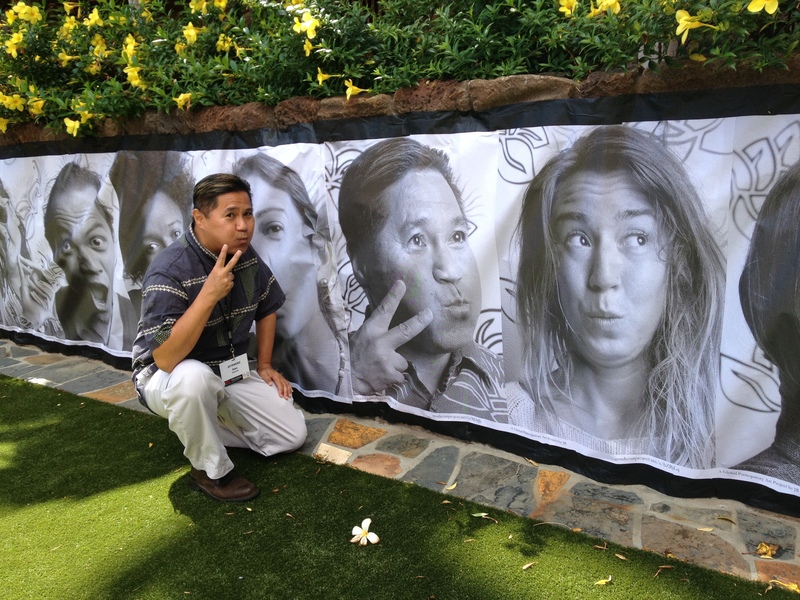 I especially loved TEDxHonolulu’s taste in art…. haha. This series of photos was taken at a TEDxHonolulu Salon event as part of the Inside Out Project. Pingback: My Christmas Card to You…. « musings on living aloha….